The recent omnibus bill passed by Congress contains a nugget of good news for those interested in access to publicly funded research. Open access activists have long been asking for reports by the Congressional Research Service, or CRS, to be made publicly and easily available. CRS creates a vast array of reports on topics that are of interest to members of Congress. In 2016 alone [.pdf], CRS produced reports for Congress on topics like climate change, agriculture and free trade, offshore oil and gas drilling, and U.S. patent policies. The research produced by CRS has been held in high regard for decades. But that research has also been hard to get. In theory, CRS reports have always been public documents. They’re paid for with tax dollars, and since they’re produced by the federal government, they aren’t copyrighted. But until recently, unless you could ask for one directly from a member of Congress, it wasn’t clear how to get a report—or even to find out if one existed. A former CRS lawyer who went on to found the group Demand Progress, Dan Schuman, published an essay in 2016 detailing the problems that led CRS to become so secretive. “Opposition to public access to CRS report is rooted in fears of the unknown,” Schuman wrote. “It is time to conquer that fear.” He created EveryCRSReport.com, which to date has made more than 14,000 CRS reports public. Putting CRS reports online is a big step forward for transparency. The ability to search through and download reports will expand public access to the information that our elected representatives often rely on. But further steps are needed. At EFF, we’ve long argued that government transparency isn’t just about making select documents available. It means making other government-created materials, including data and code, available to the public for free, in formats that allow for easy reuse and modification. It also means requiring government grantees to make their publications available to the general public for free, ideally the day they’re published. That access is essential to understanding what the government is doing on our behalf and to make sure that the public really benefits from public funding. We’re also disappointed in the law’s ambiguity regarding the copyright status of CRS reports outside of the United States. While the law says there’s “no copyright protection in the United States,” on these reports, we worry that that wording could discourage reuse of the reports abroad. Congress should also require access for research funded through federal grant programs. 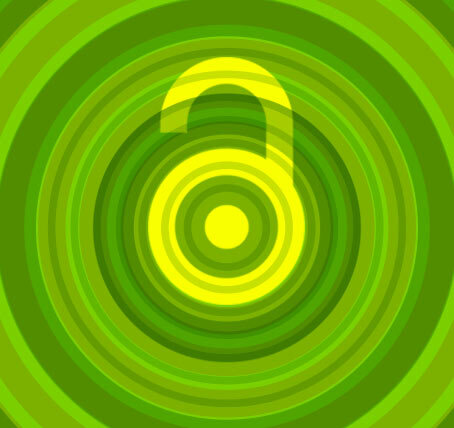 The Fair Access to Science and Technology Research (FASTR) Act would require an open access policy for every federal agency that spends more than $100 million on grants for research, thus codifying a commitment to open access that the government made in 2013. FASTR was first introduced that same year, and again in 2015 and 2017, but still hasn’t come up for a vote despite strong support in both parties. We’d also be remiss if we didn’t point out that the omnibus bill that included the provision about opening up access to CRS reports also included a modified version of the CLOUD Act even though that legislation never received a hearing or markup by any Congressional committee. To recap, the CLOUD Act will allow foreign law enforcement to demand personal data of non-U.S. persons not living in the U.S. that is stored in the United States, without being reviewed by a judge. The issue of who can get access to personal data and how they get it is necessarily complicated, and we’re disappointed Congress did not take the time to pass this legislation through the regular process. But even as we are disappointed about the continued threats to privacy from the CLOUD Act, we’re glad Congress took a step forward on allowing access to government funded research. Tell Congress to pass the FASTR Act now, and take the next step towards open access to research.